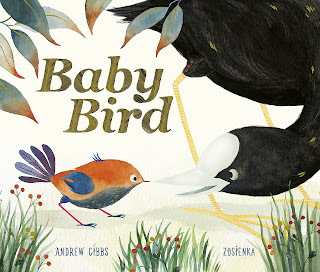 The saddest of these is that Andrew Gibbs, author of "Baby Bird" (with illustrations from Zosienka) passed away recently, before his debut could be published. The story itself is also destined to have you sobbing into your hankie, though the tale does have a beautifully uplifting end. "Baby Bird" is the tale of a bird born with one wing too small. As he sees all his siblings flee the nest, poor Baby Bird realises he's not going to be able to join them and despite his best efforts he crashes to the ground in a flurry of feathers. Baby Bird almost gives up - but then help comes from an unexpected quarter. A crazy Coot decides to pitch in and help, and despite the coot's great advice and help, Baby Bird's efforts still result in failure. But as the coot points out, there's definitely more to life than being able to fly. We love the strong friendship these two enjoy, and the tone of the story which is both hopeful and realistic as Baby Bird struggles to achieve his heart's desire. What a beautiful little book this is. 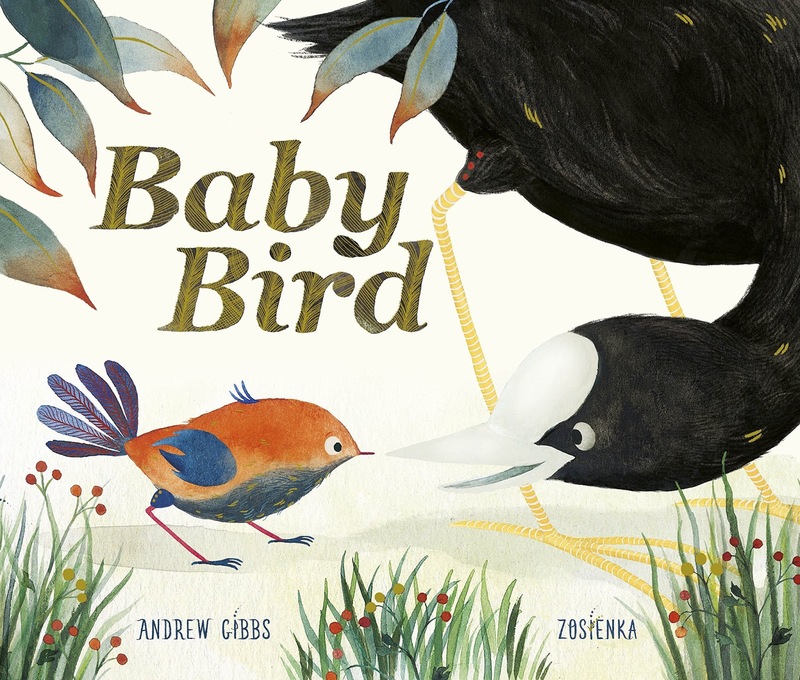 "Baby Bird" by Andrew Gibbs and Zosienka is out now, published by Frances Lincoln Children's Books (kindly supplied for review).